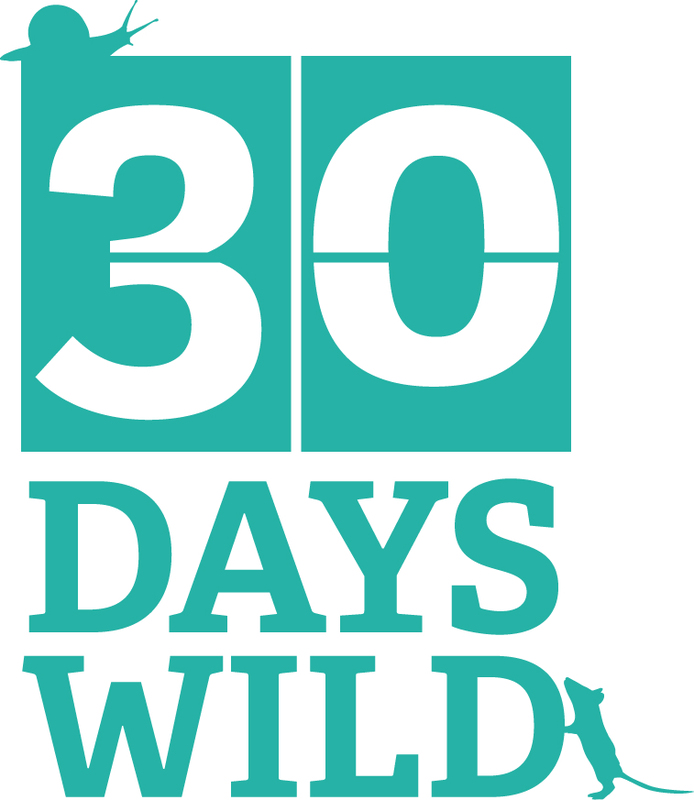 It’s day 3 of 30 Days Wild and it’s also Garden Bioblitz weekend. We’ve done this in the garden for the last few years. The idea is to record as many species as you can find in your own garden in 24 hours. Hopefully you manage to take a photo of each and load it on to the i-Record website. It was doing the garden bioblitz a few years ago that really got us into looking at the wildlife in our garden and into taking photos generally. 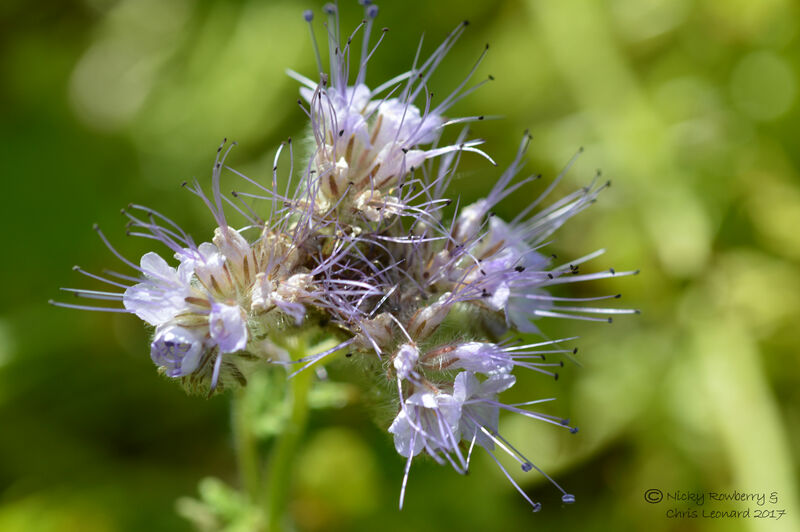 So it’s thanks to the garden bioblitz that the Too Lazy To Weed blog was born! 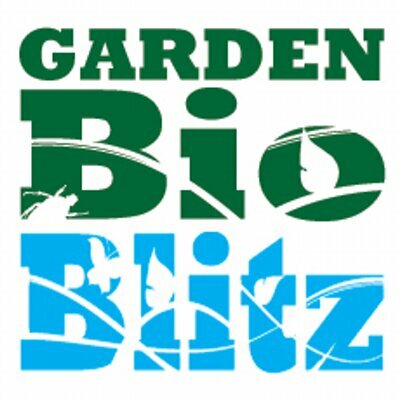 You can find out more about the garden bioblitz on their website: http://www.gardenbioblitz.org/ This year it runs today and tomorrow, so there’s still time to take part. You don’t need any special skills, just identify what you can. For anything a bit tricky there is plenty of help online. It’s a great way of getting children involved in wildlife too. You don’t have to stay up for 24 hours, just do what you can within the time. We started at about 09:30 this morning, so will finish the same time tomorrow. We started photographing the plants – easier as they don’t fly off. So far we’ve got photos of about 20 species – there are no doubt loads more, particularly grass species, but it’s not a bad start. Here are just a few of our weedy wildflowers. 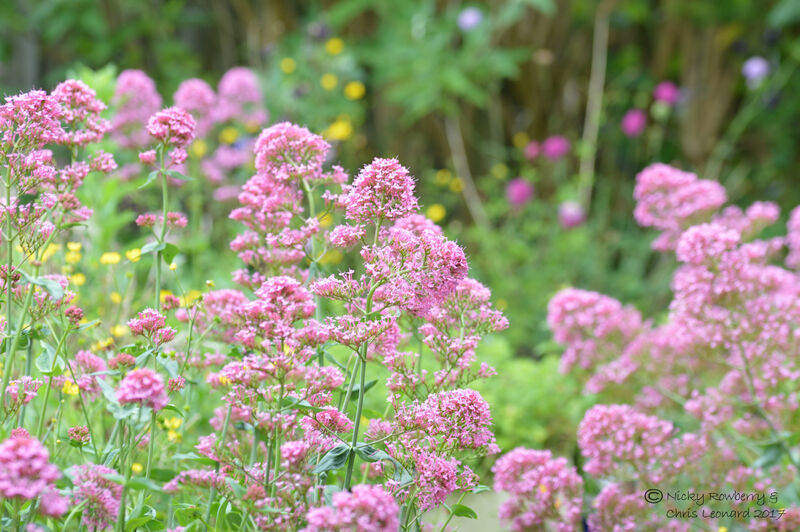 The dominant flower/weed in the garden at the moment is the Red Valerian. It is popping up everywhere. Fortunately it is not only attractive, but the insects love it. Why pay loads for fancy garden centre plants when you can have this instead? 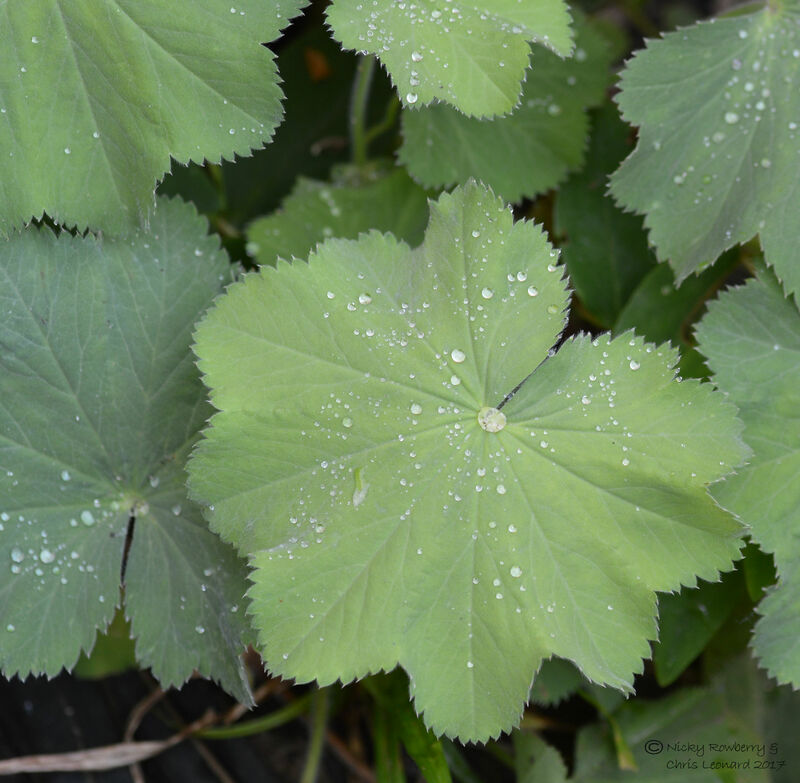 Lady’s Mantle is another common one – I love the way the rain forms shiny beads on its surface, which gradually roll down and collect at the centre. The pond has a lot of Creeping Jenny around it. 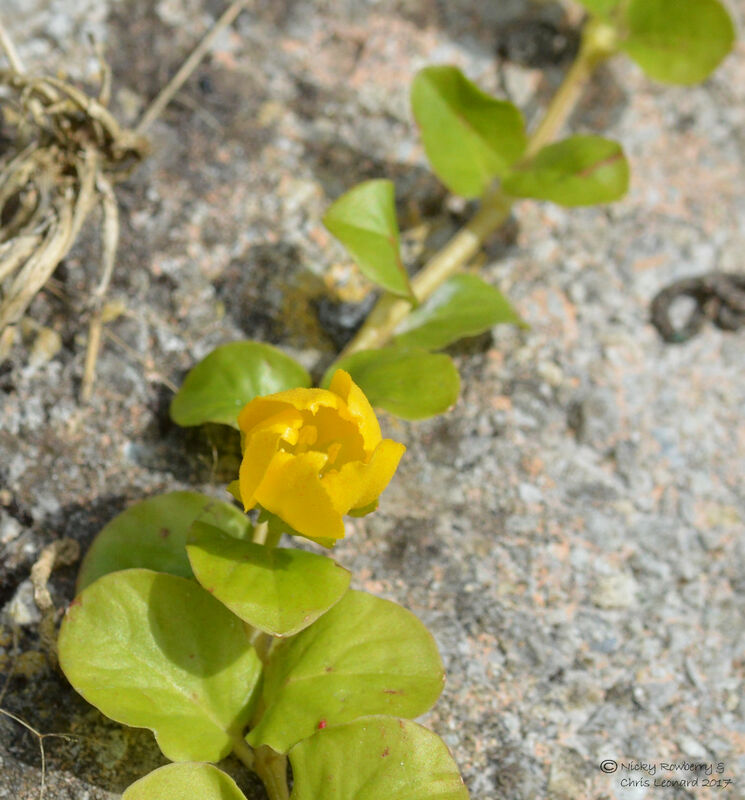 It’s a low growing plant that spreads out horizontally, with cheery yellow flowers. 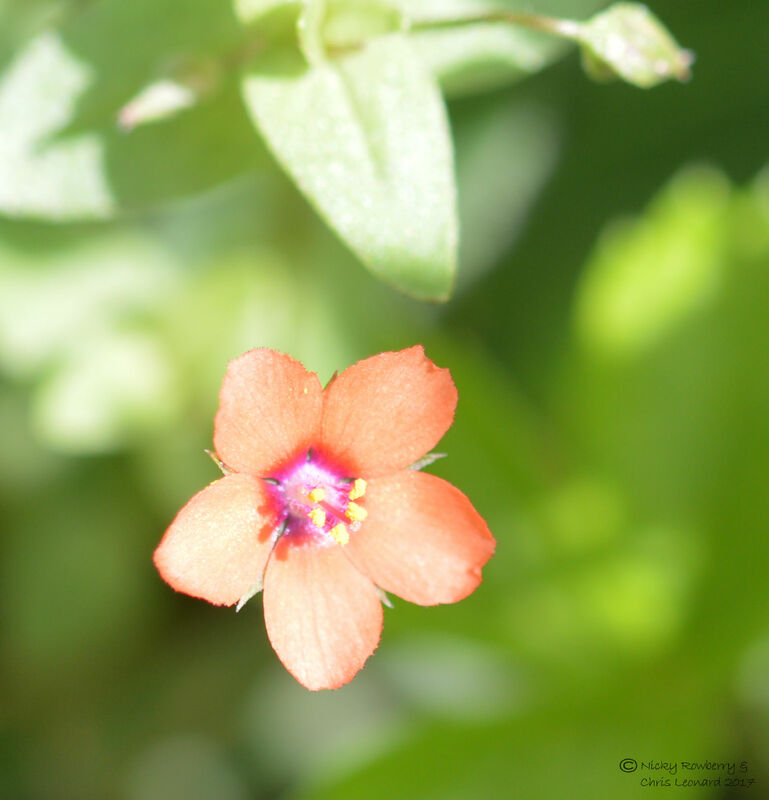 Even smaller than the creeping jenny is the Scarlet Pimpernel, which tends to grow under other larger plants. Maybe that’s how it gets its name – you have to seek it out in the undergrowth? 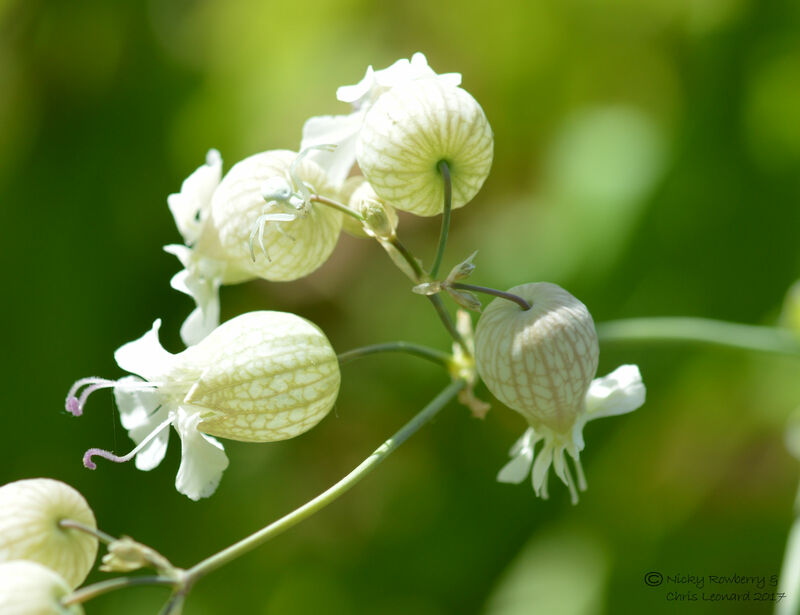 Two more insect attracting flowers are the Bladder Campion and Phacelia . 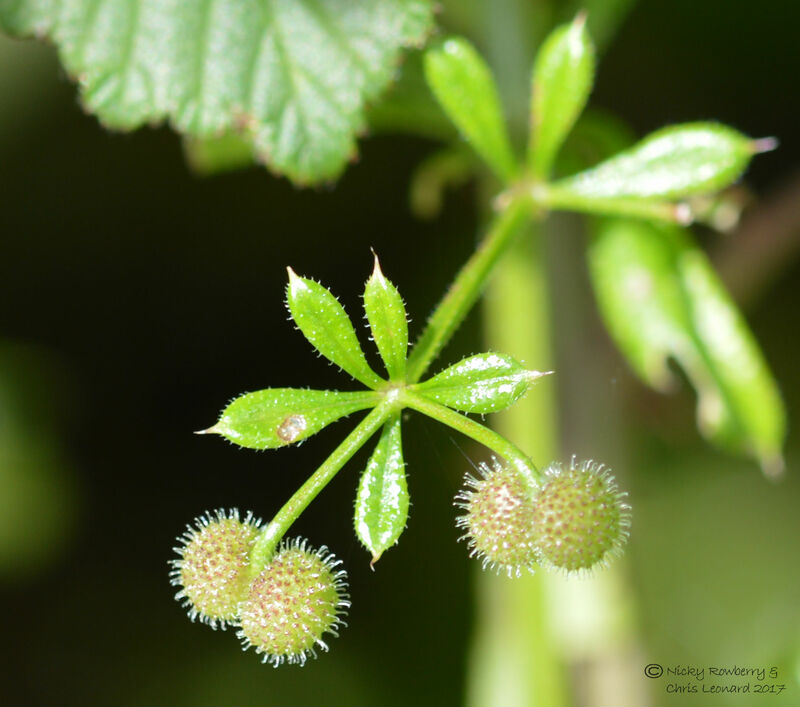 A childhood favourite and gardener’s nightmare is Cleavers (or sticky willow, goosegrass etc.). The sticky buds are surprisingly pretty when you see them close up. Not only are we still taking photos as the day progresses, but I’m still ploughing through the ID on the ones we’ve already taken. So tomorrow’s blog post will hopefully have photos of some of the birds, insects and other animals we’ve managed to find in the 24 hours. 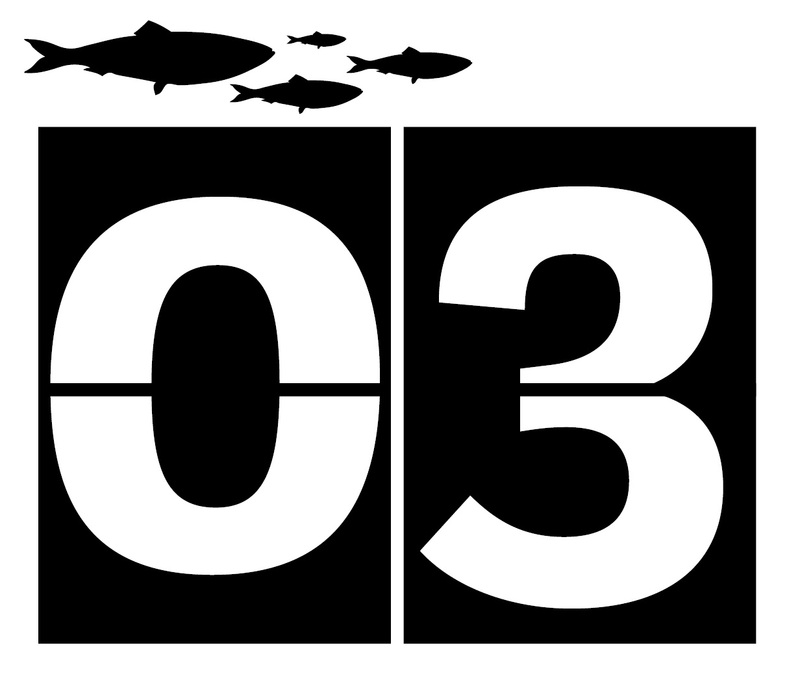 Also we should have more of an idea of the total number of species this year. 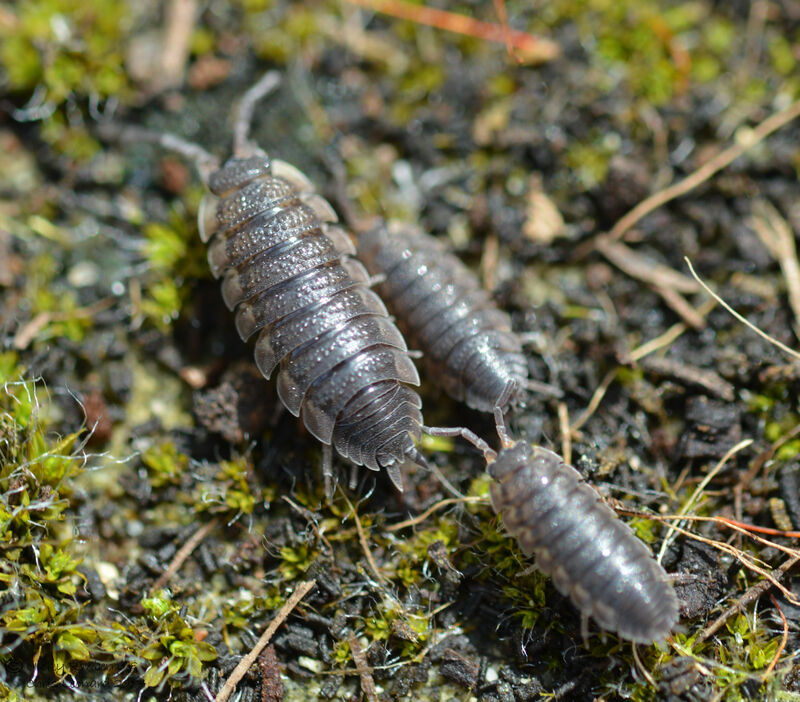 In the meantime here’s at least one mini beast – an often forgotten crustacean from under some of our plant pots – the humble woodlouse. 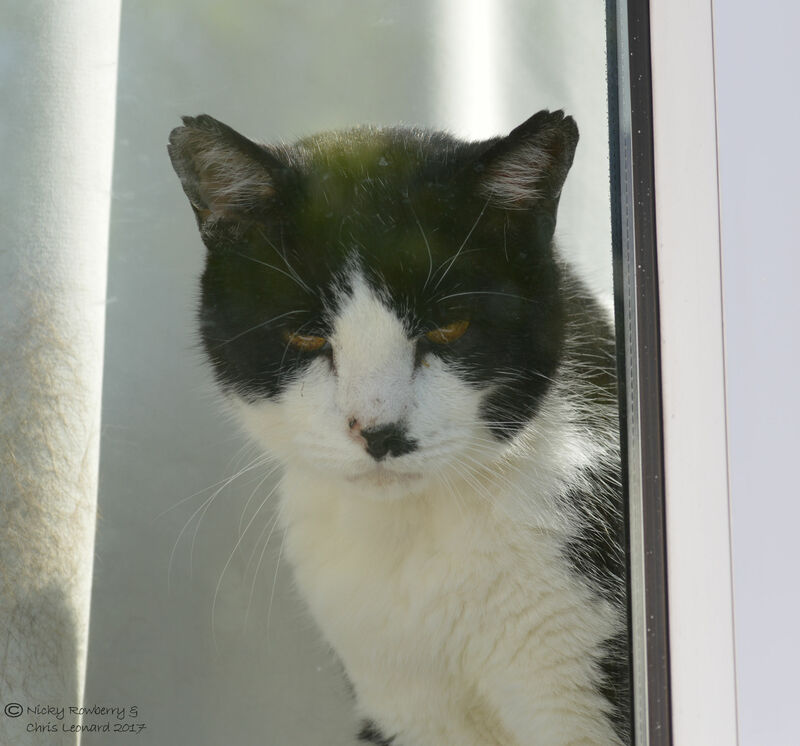 We can’t count Bert, our elder statesman of a cat, as part of the bioblitz, but he did spend quite a bit of time watching me poke around the garden. Don’t think he really approved of so much activity on a Saturday morning judging by his expression though! He’s at least 18! He was the works cat at Chris’s factory and lived outside for over a decade. When he got too old a couple of years ago we took him in. The vet scanned his microchip and says it was registered in 1999, so he must be at least 18. He’s such a character. We have another cat too – Puddle our Norwegian Forest Cat – also a real character. I think your ‘some kind of bugloss’ in in fact Phaecelia a kind of green manure you sow when your soil is bare. Thanks Jillian, I can see now you’re absolutely right. Thank you so much, I have corrected it now. If you spot anything else just let me know, it’s much appreciated.